The AMD Radeon VII is a tough graphics card to love. It’s a mighty expensive piece of second-gen Vega silicon – especially with it being in rather limited supply right now – and is only just able to just about keep Nvidia’s RTX 2080 honest when it comes to traditional rasterised rendering. But there is one saving grace about the latest Radeon card, one thing that gives us genuine hope for a red gaming future, and that’s the performance of the 7nm die-shrink. Now, the 7nm lithography alone cannot a great GPU make, but the shrink from the original 14nm Vega architecture down to the new 7nm shows just how much help the smaller process node gives to AMD’s graphics card designs. And that gives us a lot of hope for the future performance of the upcoming AMD Navi graphics architecture. Navi is going to be the GPU design behind the first mainstream graphics cards built on the efficient 7nm lithography and, even if was just going to be a simple 7nm Polaris refresh, the performance boost the Vega die-shrink has presented in the Radeon VII shows that we would still have a mid-range winner on our hands. Whatever you might want to say about the Radeon VII, about it being a couple of years late to the party when it’s only just about keeping apace with the GTX 1080 Ti, for the same amount of cash, and how it needed an expensive HBM2 framebuffer and a 7nm die shrink to get there, it is at least better than the RX Vega 64. That might sound like I’m damning it with faint praise… and you’d probably be right. But there is still the fact that AMD has finally created a GPU capable of keeping up with Nvidia’s, well, not best, but certainly its higher end cards. And, as I said in my review, maybe that’s enough. The Radeon faithful just want a card they can spend the big bucks on and not feel like they’re lagging too far behind. Admittedly they are lagging behind the RTX 2080 in a good few gaming benchmarks, but the Radeon VII does offer some performance wins. And after the RX Vega 64 that wasn’t something we realistically expected from a graphics card that is essentially rocking the same GPU silicon. The Vega 20 is, architecturally speaking, practically identical to the Vega 10 GPU used inside both the RX Vega 64 and the RX Vega 56. The only tangible difference being the 7nm lithography used for the smallest transistors in the latest Radeon design. Yet, despite their being so similar, the Radeon VII completely outclasses the RX Vega 64 in all tests. And that’s with the newer card sporting 256 fewer GCN cores too. AMD initially suggested the delta between the two generations of Vega cards would be around 29% on average and our own tests bear that out. At 1440p the performance difference between the Radeon VII and the slower RX Vega 64 ranges from 16% in Warhammer 2 to 48% with Deus Ex: Mankind Divided. It’s not the 7nm die-shrink that’s delivering that extra gaming pace, however, it’s the fact that the smaller process node allows AMD to massively bump the GPU clockspeeds. The standard RX Vega 64 operates with a boost clock tracking at 1,546MHz, while our Radeon VII runs at 1,710MHz in general, with the occasional jump up to its rated 1,750MHz boost clock. There is some benefit to the extra memory bandwidth afforded by the wider memory bus, and the extra HBM2 itself, but outside of 4K that’s not going to have a huge bearing on the games we run in our gaming test suite. Switching focus to the next generation of mainstream AMD graphics card, and a simple 7nm version of the Polaris architecture would similarly benefit from the same clock speed hike. The 14nm RX 580 runs at a boost clock of 1,340MHz, with the RX 590 showing that even a modest 12nm die-shrink can offer it a bump up to 1,576MHz. If we were to look at the Navi architecture as a plain and simple 7nm refresh of that 14nm RX 580 GPU – and took the 29% average performance boost the Radeon VII displays mostly as a result of higher clock speeds – we’re looking at a mainstream GPU capable of delivering almost GTX 1070 levels of gaming performance. Interestingly, that’s about where Nvidia is reportedly aiming its new 12nm GTX 1660 Ti card supposedly releasing this month. Of course that’s just a really basic performance extrapolation based on an average 29% performance boost of the RX 580, and nothing is ever that simple. But it’s an interesting thought experiment at taking the die-shrink performance gains of the Radeon VII and viewing them through the Polaris prism. As our Jacob pointed out recently, the 7nm production process isn’t some carefully guarded AMD secret, it’s something created by contract manufacturer, TSMC. The same company that creates many of Nvidia’s graphics chips too. Team GeForce is reportedly switching to Samsung’s 7nm EUV node for its next-gen GPUs, but the possibility is still there that if Nvidia wanted to pick TSMC’s 7nm process for a quick and dirty Turing refresh it could, and could deliver a real sucker punch to AMD’s graphics card efforts. 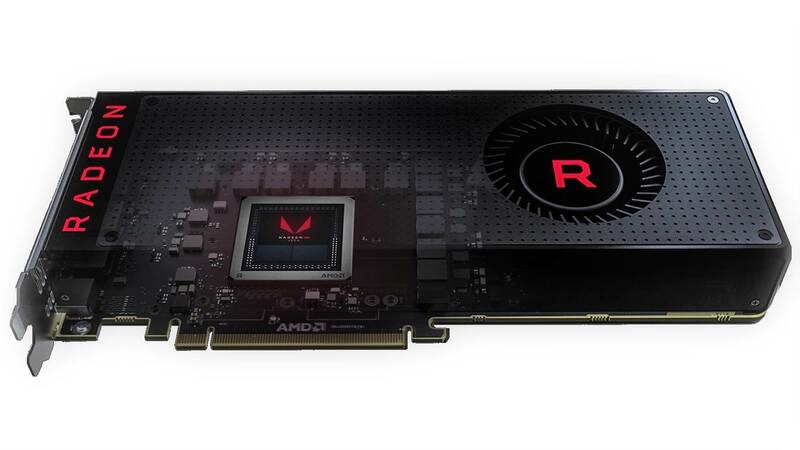 Without an architectural change, the next-gen Radeon cards would definitely be at risk from Nvidia’s own prospective die-shrink letting its cards pull further and further away from the red team competition. But Navi isn’t just going to be just a 7nm Polaris refresh. If it were I’m pretty confident we’d have it in our machines by now, and probably would have skipped the unnecessary RX 590 12nm refresh which tipped up at the end of last year. We don’t know what AMD has planned for Navi, architecturally speaking, but we are pretty confident it’s going to be the last hurrah for the Graphics Core Next design. 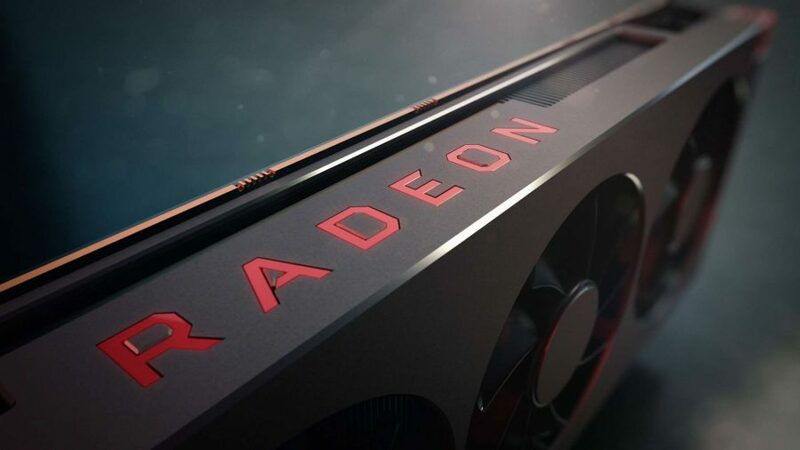 That will leave AMD’s engineers a little constrained as to what they can achieve with the 7nm Navi GPUs, but David Wang, senior VP of engineering at the Radeon Technologies Group, is aiming to give his marketing guys something to work with. And anything the RTG can do, over and above the frequency boost benefits of the 7nm die shrink, is going to give the Navi graphics cards some serious mainstream performance. 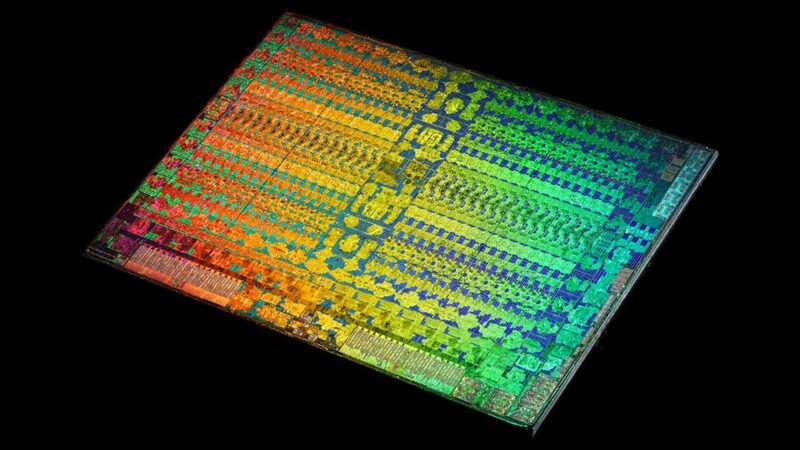 Navi isn’t going to be tied to the expensive HBM2 silicon, not if AMD wants to make it a value proposition, and so the extra die space afforded by the shrink from 14nm to 7nm can be devoted to extra compute units and stream processors. 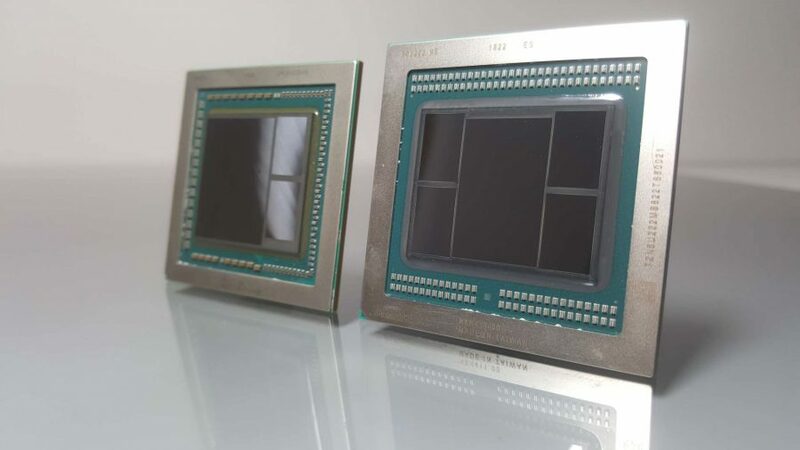 In the switch from Vega 10 to Vega 20 the extra space was taken up by two more HBM2 modules; Navi could potentially squeeze even more GCN silicon in there to boost performance. The mainstream market is going to get a serious shake up once the AMD Navi cards do start to break cover, and rumours suggest that could happen around E3 this year. If AMD really is going to turn up in LA with a range of genuine gaming contenders that would be quite something. But the latest bucket-of-salt rumours suggest that Navi has been pushed back from the summer to much later in the year. 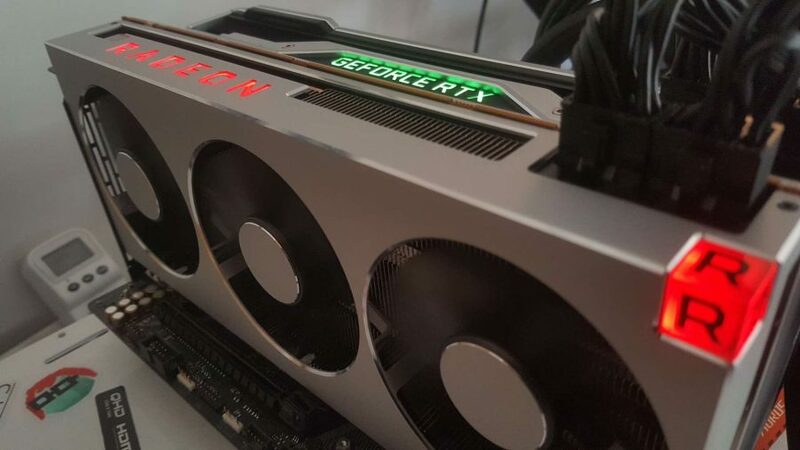 That would be a huge shame, but given Nvidia’s bind in the mid-range – the RTX 2060 is priced out of relevance in that market, and the GTX 1660 Ti can’t be pushed too far or risk cannibalising its own brethren – there is a tremendous opportunity available to AMD to cement its place at the pinnacle of the mainstream. And that’s the big volume segment, which also means big money too.